First Gorgeous Look At Mark Z. Danielewski's New Series, The Familiar! 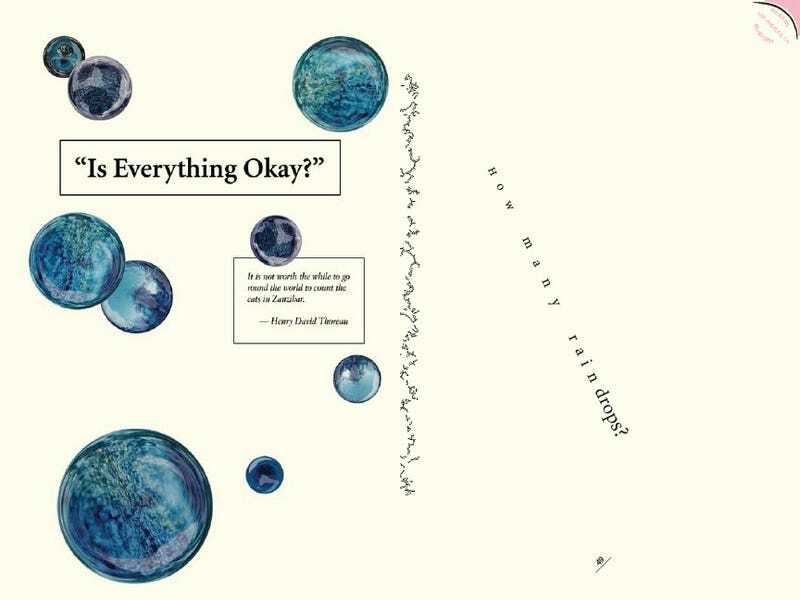 Mark Z. Danielewski made a huge stir with his experimental novel House of Leaves, but now he's aiming even bigger — with a 27-volume illustrated book series that aims to be like a television show. We've got an exclusive first look at a few pages of this series' beautiful art and design. The Familiar will be published at the rate of one volume every three months, to make it easier to keep mainlining the installments. And it's an incredibly lavish series, featuring tons of weird illustrations and layout. We've seen the first volume, and it's somewhere between a graphic novel, a book of experimental poetry, and a novel. The Familiar: One Rainy Day in May (onsale 5/12/15) is the pilot to a 27-volume story taking us from Los Angeles to Mexico, from Singapore to Texas. It features a wide range of characters including a therapist-in-training whose daughters prove far more complex than her patients, a gang member hired to kill, two scientists on the run in Marfa, a recovering addict in Singapore, a programmer near Silicon Beach. At the very heart of the story is a 12-year-old girl who one rainy day sets out from Echo Park to get a dog only to find a different kind of creature, one which will not only alter her life but threaten the world we all think we know and the future we take for granted. Check out two more pages from The Familiar Volume 1 below. You can also pre-order it at Powell's, BN and Books Inc.